Cara Marsi, an award-winning author and self-proclaimed TV junkie, is a former corporate drone and cubicle dweller. Freed from her fabric-covered cage, she can now indulge her love of all things romance. She craves books with happy endings and loves to write about independent heroines and the strong heroes who love them. And she loves to put her characters in dangerous situations or situations merely dangerous to their hearts and watch them fight for the happy endings they deserve. 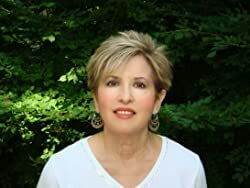 An eclectic author, Cara is published in romantic suspense, paranormal romance, and contemporary romance. She has also published numerous short romance stories in national women’s magazines and online. When not traveling or dreaming of traveling, Cara and her husband live on the East Coast in a house ruled by a sweet, formerly homeless cat named Tortie and a fat black diva of a cat named Killer. Please enter your email address and click the Follow button to follow Cara Marsi! After a young woman’s fiancé is killed in Iraq, an eccentric elderly woman and a handsome new friend help her bury her fears and dare to dream and love again. This 8500-word short story was previously published by Boroughs Publishing Group.